Indego in Philadelphia isn’t. 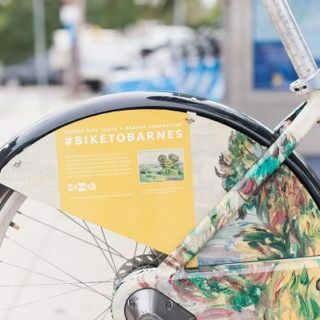 Earlier this month, they unveiled a straightforward promotional video that puts their blue bicycles front and center while simultaneously showcasing an impressive amount of diversity of neighborhoods, people and activities. 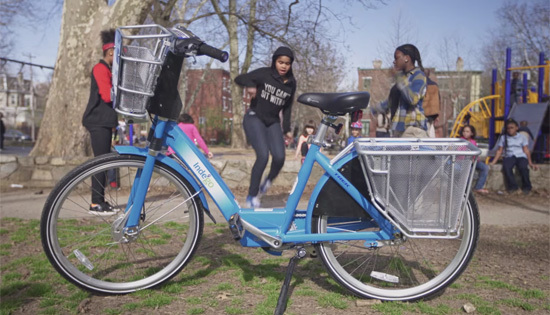 According to Kiera Smalls, the social media and community relations manager at Indego, Nic Justice Media filmed the video prior to the bike share’s April 23 launch in a variety of locations within the neighborhoods the system serves. She says whenever they stumbled across “something cool happening” nearby, they would see if anyone minded them filming it. That’s how the fun clips of the girls playing Double Dutch and the people in the park made it into the video. The video is a subtle but effective approach at addressing concerns people have long raised about bicycles being “kinda something that white people are into”. It even includes a recreational ride taken by a family of color—something one member of an earlier focus group conducted in Philadelphiaexplicitly said she wanted to see. These types of inclusive images will likely inspire a wide variety of people to give Indego a shot, and they will do so without alienating the folks who were likely to try bike share anyway. And so far, people seem to be eager to give Indego a try. 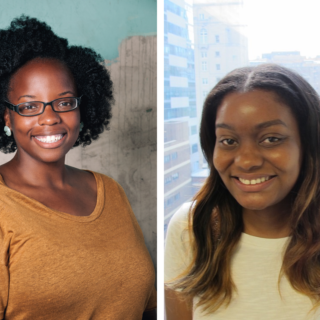 Operators announced last week that after just two months of operations, the system has reached a milestone: 100,000 rides taken, implying significantly faster growth than similar systems in DC, Boston and Denver. 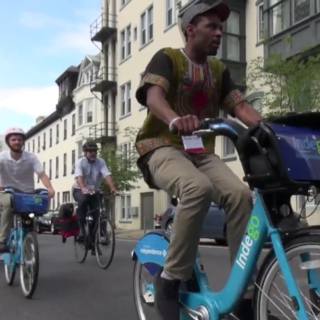 Indego, which is one of the first systems in the country that does not offer an annual membership, currently has more than 4,500 active 30-day members.